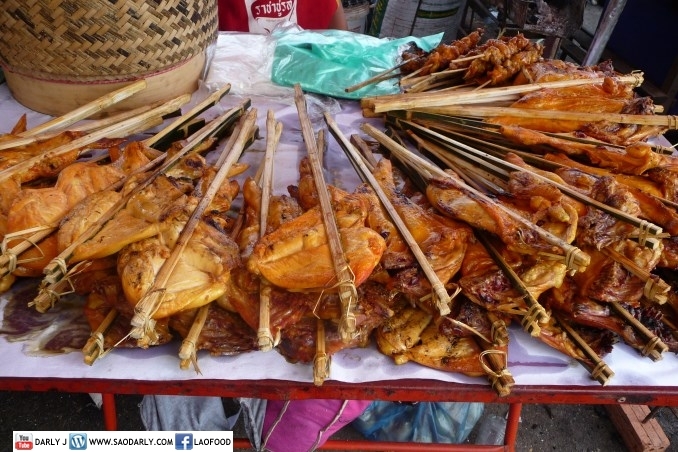 Khao Larm (Sticky Rice in Bamboo Tube) and Ping Kai (Grilled Chicken) for dinner in Vientiane, Laos. 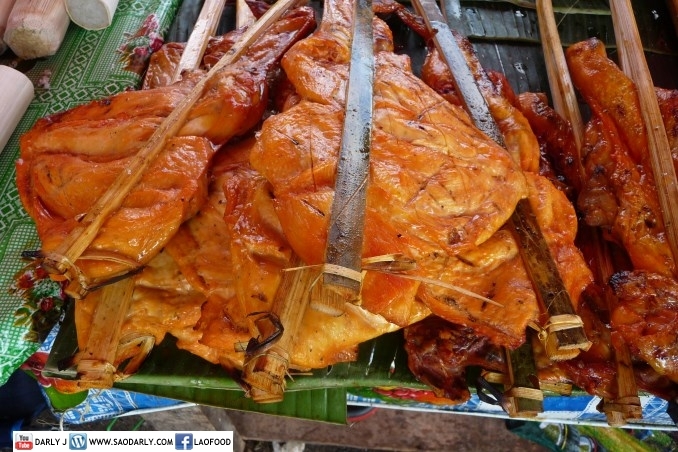 Aunt Kian bought the food at Boun That Luang after attending the Wax Castle Procession (Haire Pasad Pheung) earlier tonight. 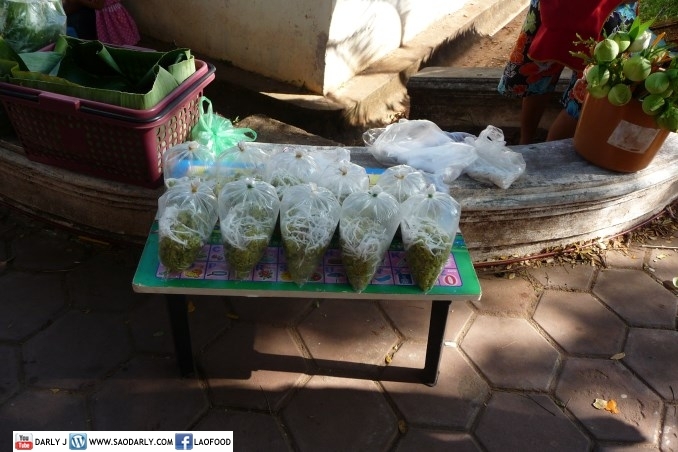 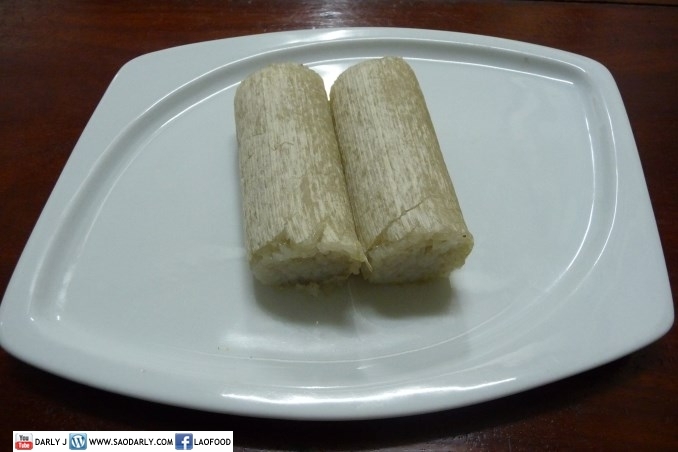 She also bought a couple of kilo of Young Green Sticky Rice (Khao Mao) for snacks later. 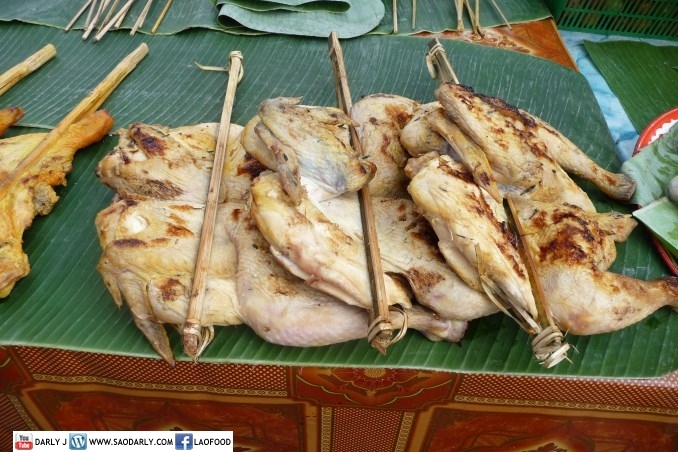 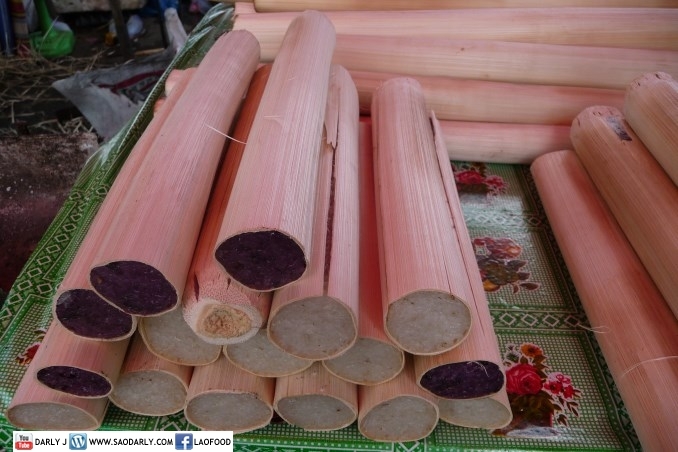 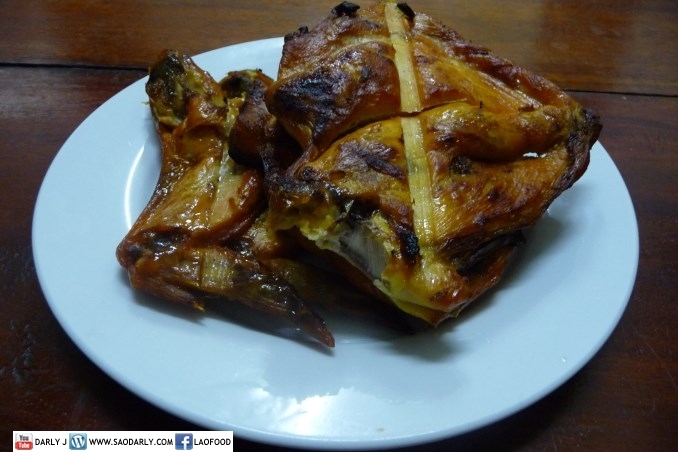 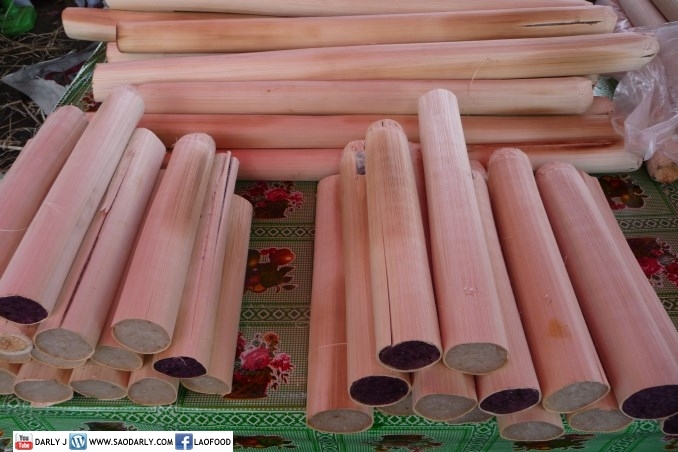 With so many things to do around the festival time and getting ready for the Almsgiving Ceremony tomorrow at Pha That Luang, the grilled chicken and sticky rice in bamboo tube was a delicious dinner for all family members to enjoy.